A stock market sell-off across Britain’s financial markets this week wiped roughly £3 billion off Royal Bank of Scotland’s stock market value amid uncertainty around the viability of Theresa May’s UK government. 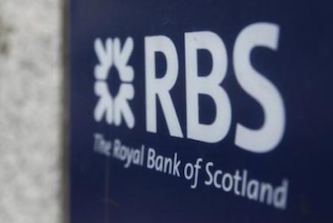 Some investors fears RBS could face an uncertain future under a possible Labour-led administration. They fear UK Labour leader Jeremy Corbyn could consider breaking up state-controlled RBS to create new local public banks. On Thursday alone, RBS shares fell roughly 10% — and fell a further 3% on Friday. The stock market value of RBS has fallen to around £26 billion, according to Bloomberg data. RBS was bailed out by the UK taxpayer for £45 billion during the last financial crisis. Gary Greenwood, analyst at Shore Capital, said: “RBS is tanking as traders fear the possibility of a Labour led government. Meanwhile, RBS has been dropped from a global list of banks that must hold extra capital due to their size, the Financial Stability Board reported on Friday. The FSB started publishing its list of so-called “systemically important” banks in the aftermath of the global financial crisis. Inclusion on the list means having to comply with tougher capital requirements to shield taxpayers from any potential bailout. “We note this decision by the FSB which reflects our progress in building a much simpler, safer UK-focused bank,” RBS told the Financial Times. Michael Huenseler of Assenagon Asset Management in Munich told Bloomberg: “RBS has made major progress to leave its past problems behind.